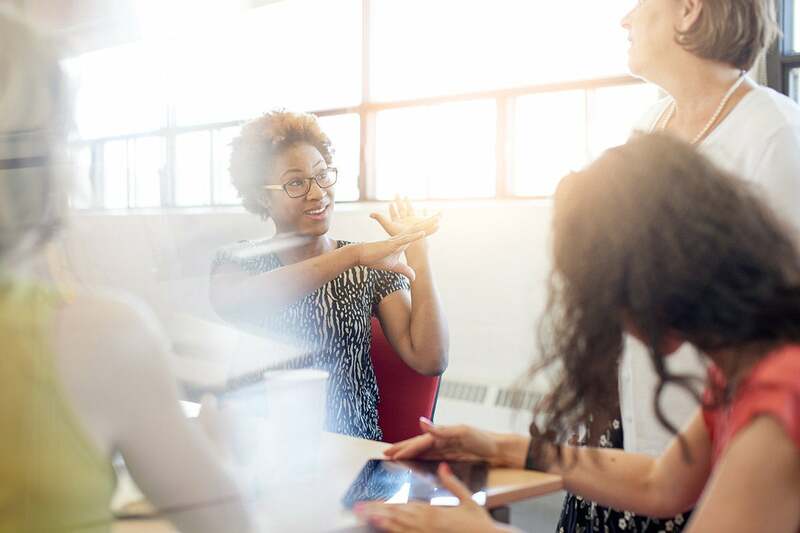 To successfully overcome the many execution hurtles, it’s essential that business and IT executives leading major initiatives are fully aligned at the outset of any campaign. The past couple of months have been filled with new beginnings, especially for IT groups. Armed with new budgets and post-holiday enthusiasm, many IT organizations were preparing to launch major initiatives in 2018. Although most IT execs have learned what it takes to implement successful initiatives, we are all guilty of skipping key steps in the planning process in the interests of getting underway before budgets are cut or business enthusiasm wanes. Skipping or shortchanging the essential negotiations outlined below may cripple an initiative, no matter how popular or well-funded it is at the outset. The most dangerous way to launch an IT initiative is to have a business executive announce that he or she wants to roll out a specific piece of technology. Although it’s easy for IT leaders to get excited when a business executive proclaims, “I want to launch Salesforce.com at next year’s kickoff meeting” or “we need a new mobile application for our millinneal customers,” these simplistic, technology-focused objectives do not by themselves constitute the makings of a strategic IT project. In their seminal book Getting to Yes, Roger Fisher and William Ury, leaders of the Harvard Negotiation Project, advise against negotiating over positions — such as “we need to implement Salesforce.com next January” — and encourage business leaders to focus on common interests instead. The common interests of any truly strategic partnership between IT and business leaders should be a set of business outcomes, not just the implementation of a cool new tool or system. Unfortunately, outcomes can get lost in the enthusiasm surrounding the launch of any major initiative as a company gears up to spend a lot of time and money on a new technology. Failure to establish explicit business expectations at the outset of a major initiative will ultimately compromise its success — and may be career limiting for its leaders as well! If you and your team are embarking on a strategic initiative in 2018, make sure you’ve explicitly discussed the following three questions with your business partners and have reached a clear (and hopefully documented) agreement. 1. What business outcomes are we trying to achieve? It seems a little crazy that the IT leader of a major initiative might have to force his business partners to explicitly quantify the outcomes they are hoping to achieve. But in many instances business executives operate from intuition and the intended results of such initiatives seem obvious to them. Instead of assuming that you’re both on the same page, negotiate a clear statement of anticipated business outcomes with associated success metrics. And don’t let your business partners get away with defining success solely in financial terms. Strategic initiatives typically impact key operational metrics such as store traffic, inventory turnover or customer satisfaction. Improvements in operational metrics will ultimately translate into financial results. Make your business partners explicitly define these metrics, and then connect-the-dots to the financial results your CEO and CFO are expecting. 2. What technologies do we need to accomplish these outcomes? There are a wide variety of considerations involved in selecting the technologies needed to enable desired business outcomes. Vendor selection criteria commonly include product functionality, service level commitments, adherence to company technical standards, compliance with company policies, support capabilities both at home and abroad, referenceable customers, pricing and warrants. Equally important (but less commonly discussed) is the business horizon you are addressing and the degree of differentiation you are seeking relative to your competitors. For example, is the mobile app you’re developing for your millennial customers intended to drive more traffic to your brick-and-mortar outlets — or are you trying to boost online impulse sales by offering more personalized product information to smartphone users? If the former, you may want to invest in inventory management tools that optimize the timing of product discounts to increase store traffic and simultaneously improve inventory turnover. If the latter, perhaps you need to invest in machine learning technologies that will define the personalized information individual consumers need to make an impulse purchasing decision. Challenge the business leaders behind your initiative to clarify the extent to which they are trying to futureproof the technology solution you’re constructing and whether they’re trying to leapfrog the competition or just achieve parity. These business considerations should be key factors in any technology decision. 3. How should we make our technology selection decisions? The 1968 Paris Peace Talks, which were focused on ending the Vietnam War, got off to a rocky start because the parties involved could not agree on the shape of the conference table they would use to conduct their negotiations. Hopefully, IT and its business partners can avoid debates about administrivia, but it’s important to reach agreement on the process that will be used to screen prospective technologies — and the roles that different stakeholders will play throughout the evaluation process. The scope and depth of vendor evaluation activities such as briefings, demos, reference calls, proof of concept exercises, etc. need to fit your specific needs. The internal subject matter experts who need to be involved in these activities must be explicitly identified and committed as well. Senior management needs a steady stream of progress reports to ensure that they aren’t presented with a forgone conclusion at the end of the evaluation period. Last, and perhaps most importantly, the evaluation process should have a deadline to ensure the timely achievement of anticipated business outcomes. Those outcomes are the reason you’re going through this whole exercise anyway! Don’t forget that business executives typically get involved in major IT initiatives every 3-4 years, so don’t assume they will necessarily remember the framework you employ to manage the evaluation process. The famous British economist John Maynard Keynes once said: “the difficulty lies not so much in developing new ideas as in escaping from the old ones.” He could easily have been referring to any truly strategic IT initiative. Like it or not, strategic initiatives are all about getting a lot of people to abandon old ideas about how business should be conducted. The vast majority of employees support strategic initiatives in principle. They believe their companies need to continually respond to the challenges and opportunities that exist within their industries. They’re convinced that strategic initiatives are essential survival tactics for their employers, ensuring future growth and prosperity. Paradoxically, most employees are equally convinced that the greatest strategic needs within their companies exist outside their own functions. Most believe that their functions are operating as effectively as possible under present circumstances and they’re not particularly interested in altering their daily work routines, thank you very much! By definition, strategic initiatives are complex, costly, time-consuming crusades in change management that are designed to alter conventional ways of doing business. They can go wrong in so many different ways. Executive sponsorship may change over the lifetime of the initiative. Enabling technologies may not deliver the functionality that was promised by the vendors, or they may not play nicely with pre-existing tools and systems. Key activities will undoubtedly take longer than planned, leading to schedule slips and budget overruns. Employees, suppliers and customers may successfully resist making significant changes to established policies or work procedures. There are so many ways that major initiatives can fail that it’s remarkable IT and the business are able to come together on a regular basis and launch new ones. To successfully overcome these many execution hurtles, it’s essential that business and IT executives leading major initiatives are fully aligned at the outset of their crusade. Explicitly negotiating intended business outcomes, technology selection criteria and technology evaluation procedures prior to launch may not necessarily guarantee success, but it can significantly reduce the of failure.